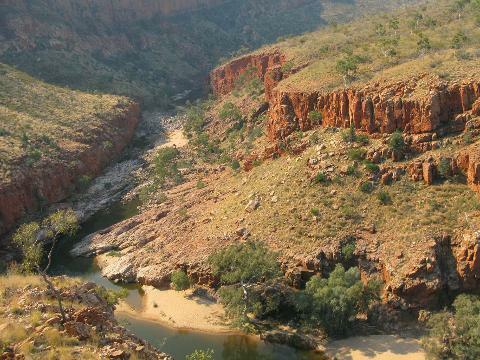 You will be picked up from your accommodation at 5:30am, first destination Kings Canyon. Enjoy a guided 3 hour hike through the sandstone domes of the Lost City. Visit the many Amphitheatres, North & South Walls and the beautiful Garden of Eden. Next stop, Curtin Springs where we set up our bush camp. Your guide will prepare a healthy camp-oven dinner. Relax around the fire then curl up in your cozy swag under a million stars. 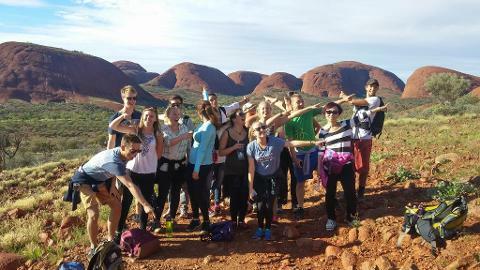 Feel the spiritual significance on your guided walk through to the Valley of the Winds at Kata Tjuta. 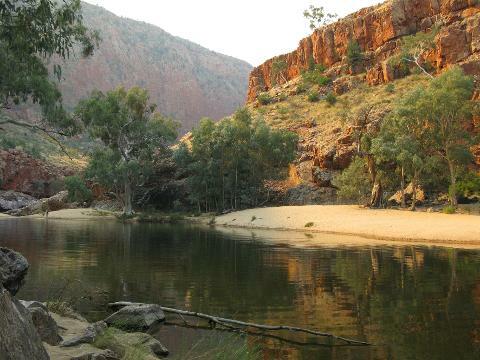 Be shown bush tucker along the hike before heading to the Aboriginal Cultural Centre in the afternoon where you can listen to tales from the 'Tjukurpa' Dreamtime. We spend the evening enjoying dinner at the spectacular Sunset over Uluru. Witness the awesome sight of Uluru changing colour. We spend this night at the Ayers Rock Campground with toilets and showers. Take in a memorable Uluru Sunrise over the World’s Largest Rock. You then have time to complete an Uluru Base Walk around Uluru. You will see beautiful sites such as the Mala Walk, Mutijulu Waterhole and Aboriginal Cave Paintings. We stop on the way home for lunch at Erldunda. 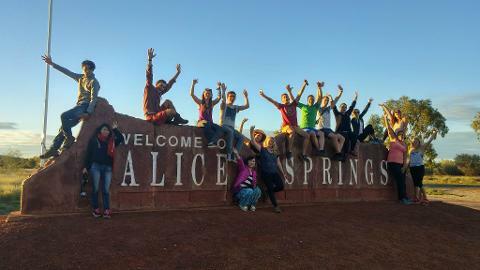 You will arrive back in Alice Springs at approximately 5:30pm and stay 1 night at the YHA Alice Springs (6 share dorm). Back to civilization, get cleaned up and we meet later with your Guide for dinner and a couple of beers in an The Rock Bar (optional extra). You will be picked up from the YHA Alice Springs at 7.45am. 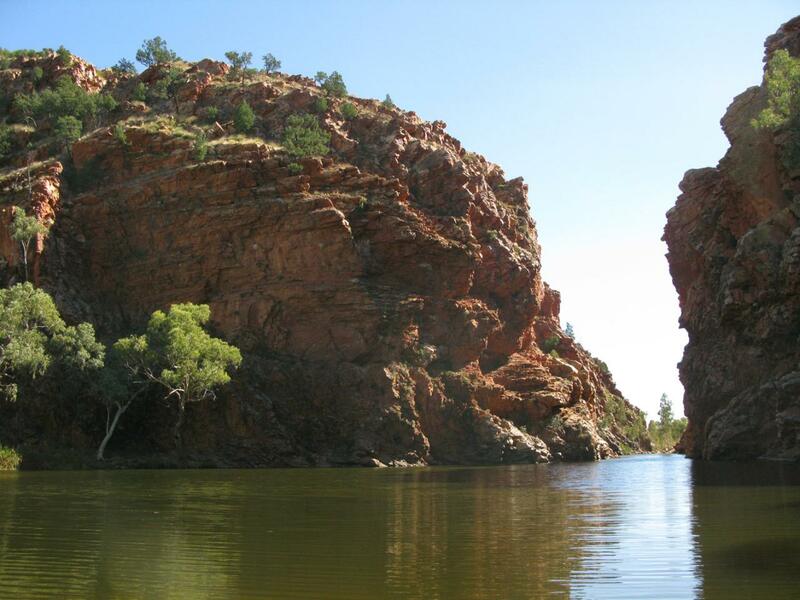 Experience the magnificent grandeur of the West MacDonnell Ranges, the deep red cleft of Standley Chasm, the mystique of Ellery Creek Big Hole, the cultural significance of the Ochre pits and awesome Ormiston Gorge. Sip on a glass of wine and enjoy a ploughmans lunch at Glen Helen. 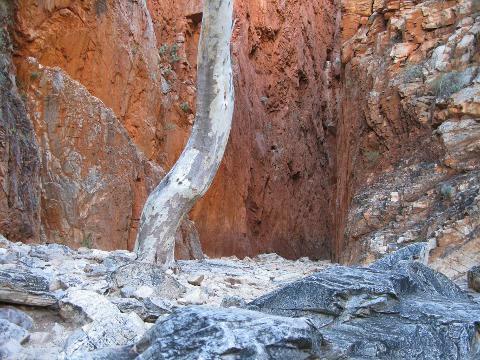 See the immense cliffs of quartzite at Simpsons Gap, a haven for a colony of black footed rock wallabies.